The Assomela marketing committee analysed the market trends of the past few weeks. 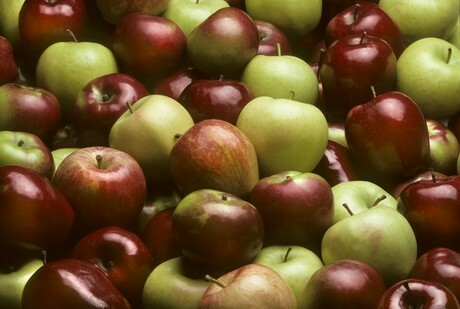 The table apple stock on 1st April 2019 was 392,395 tons so, excluding the past season characterized by a lack of produce due to frost in spring 2017, they are in line with the previous year. Sales in March were rather lively with destocking quantities that exceeded 220,000 tons. As for Golden, the most representative variety in terms of production, the stock was 368,926 tons, i.e. 6.5% below the average of the previous seasons. However, the produce not part of the first category is facing a few problems, while the fruits that are indeed part of it have generally good quotations and regular sales. Although Red Delicious stocks are slightly above the norm - consider that production was particularly abundant - March sales were satisfactory also thanks to the considerable outlet represented by India and by the main Middle Eastern countries. As envisaged by destocking plans, Gala quantities are ending due to the record sales in March that exceeded 30,000 tons. Granny Smith stocks are almost 4% below the 2014-2016 average and sales in April have been regular, just like during the rest of the season. Stocks and sales are under control for the Fuji variety too. Quotations are in general below those of the past season which, however, was an exceptional one. Considering the 2014/2015 and 2016/2017 seasons, prices are similar and even better if we consider the produce of excellent quality and the so-called new varieties. Poland remains an unknown factor and one that represents a strong competitor especially in some markets, also due to its low production costs reflected in the price of the final product.